This coming summer, Canosia Township will be working with St. Louis County to scrub seal Holly Ln, Shady Ln, S. Pike Lake Rd and Spruce Ln. We will also be striping Vaux Rd., Kehtel Rd. and Lakeway Dr.
We will continue to monitor conditions of all gravel roads, adding gravel, grading, and any other needed work to keep them in good driving condition. The following township roads were scrub sealed this past summer: Birchway Road, Daniels Road, Wilderness Trail, and Lockwood Lane. During 2017, Canosia Township continued with the five year Road Improvement Plan. We were able to “Scrub Seal” the Vaux Road, Dunaisky Road & Pike Lake Place. This process will add 5-7 years to the road surface. Canosia was also able to continue maintaining all of the Township Gravel Roads. Our roads are in good driving condition and we will continue with this program moving forward. 2018 will see us improving the following asphalt roads. The roads we are planning on upgrading are Birchway, Daniels, Lockwood, and Wilderness Trail. Canosia will be working with St. Louis County on these projects. We will attempt to keep the public notified as to the anticipated dates for these projects and will post details on our website as we move closer to construction season. 2017 also saw Canosia Township adopt a Road Traffic Sign Policy. This was completed to be compliant with the State of Minnesota. Some folks may have noticed that we have a reduced number of traffic signs throughout the township. We worked with Vic Lund, St louis County Traffic Engineer, to determine what traffic signs were needed, and what traffic signs were not needed. Based on these discussions, Canosia saw a marked decrease in the number of traffic signs needed. Once the decision was made to adopt the sign program, Canosia replaced all of the remaining traffic signs with new signs that have the new reflectivity standards. By installing the new signs now, they meet the standards for reflectivity required by statute. They will not have to be replaced for ten years. 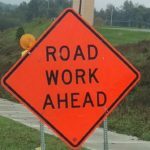 2018 will be another busy year for road work in Canosia. It is work that will continue to pay dividends in the future. We are pleased that we are able to complete these projects without increasing the levy. We were able to work with the Fire Department and shift some funds to the road and bridge for the next two years to finish the upgrades to the asphalt roads. By working together, Canosia is meeting the issues that we face, and doing it in a manner that allows the tax levy to remain the same as it has been for the last ten years.